A border of crayons will be sure to attract families from all around to your child care company. This flyer features a woman and child as well. 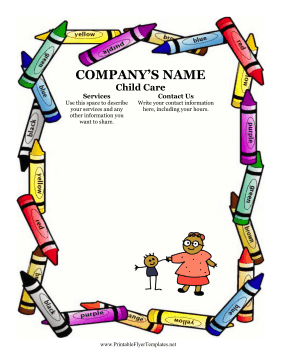 You can describe your day care or babysitting services and insert your contact information in the spaces provided.